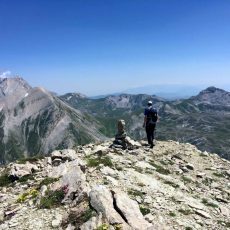 Our big adventure was due to start in the Dolomites, but just before we left Rome, we had one final opportunity to sneak up Corno Piccolo, the last major peak in the Gran Sasso range to elude us. 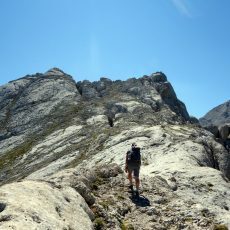 The Corno Piccolo and Corno Grande traverse is a classic day hike and scramble that is not for novices. 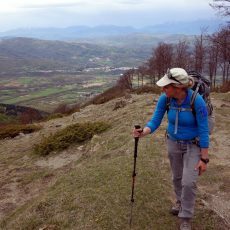 It’s a must for any fit and experienced hill walker who visits the Apennines. Here it is, described in English for the very first time (I think). 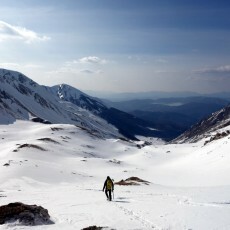 Recently I had a chance to return to Monte Sirente, a mountain Edita and I attempted in winter a couple of years ago. The occasion was a visit from two of Edita’s Lithuanian relatives, her sister Jolanta and niece Bernadeta. 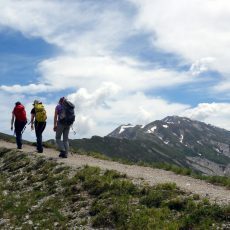 For them our visit to the Apennines was an unforgettable experience. 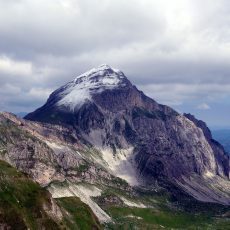 Monte Prena and Monte Camicia are the two highest peaks on a jagged 20km ridge, the Cresta Orientale, in Gran Sasso, the most dramatic mountain range in the Apennines. 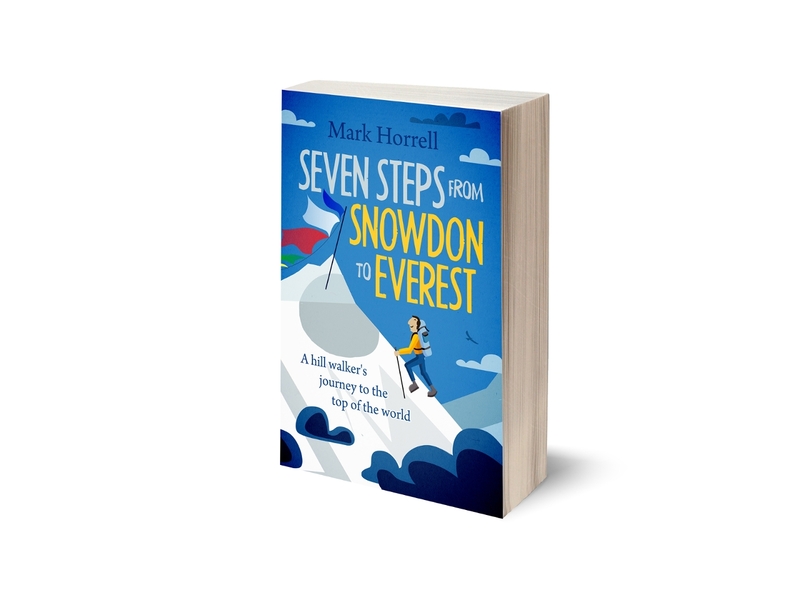 We climbed both peaks in mid-May, while they were still clad in winter white. It was one of our favourite trips in Italy so far. 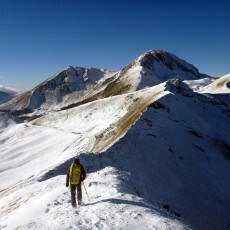 Monti della Laga is one of the forgotten mountain ranges of Italy’s Central Apennines. It was our third visit there, so we knew what to expect from the mountains, but another factor gave us cause for uncertainty. Last August, it was the site of a tragic earthquake. 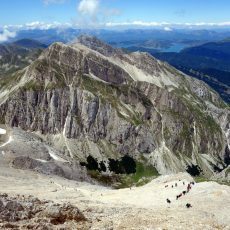 The summit of Monte Corvo is my favourite view in the whole of Gran Sasso. There is a real sense of space, and to the east is a multitude of rocky summits, emerald green basins and horseshoe ridges, with many summits to explore. In another setting Pizzo d’Intermesoli would be a jewel among mountains, but standing alongside Corno Grande it gets forgotten about. 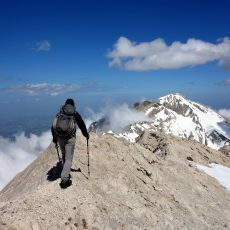 It was time we paid a visit to this hidden gem nestling among Gran Sasso’s rock towers. 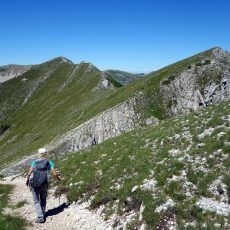 A couple of weekends ago I visited Monti Ernici, a group of hills little more than an hour’s drive from Rome, that reminded me so much of the Scottish Highlands that I just had to write a blog post about them. Any search for books about the Apennines which aren’t travel guides, leads inexorably to one book: Eric Newby’s ‘Love and War in the Apennines’. It’s a book I can relate to in two very important respects.